Hello and welcome to my overview of the Seagull S6 acoustic guitars. Seagull’s S6 guitars are Seagull’s middle of the range guitars. So if you’re looking for something that won’t cost too much but is still of decent quality then these are worth checking out. 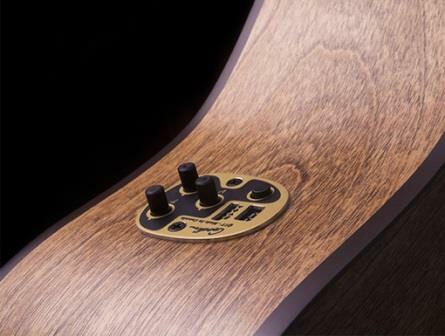 All of the S6 guitars are made with Solid wood tops and laminate back and sides. Different models use different top woods and different back and sides woods. O.k. let’s take a look at each guitar individually to see how they are similar and how they differ. All prices are in US Dollars (roughly translated from Canadian dollars – Seagull are a Canadian manufacturer). The first model, is the S6 Original. This is the basic, no electronics, no cutaway model. The S6 original is a well-built solid guitar. It won’t blow you away but for the price you do get a really decent quality guitar. The Original QIT is the same as the Original in every way except that it has inbuilt electronics. The QIT is Godin’s (Seagull’s parent company) Quantum IT electronics and has a built in tuner. The QIT isn’t top of the line in terms of electronics but it does the job and for the price it produces a decent sound. As the names suggest, these are the Left-Handed versions of the Original and the Original QIT. The Original Burnt Umber QIT has a couple of major differences from the Original. 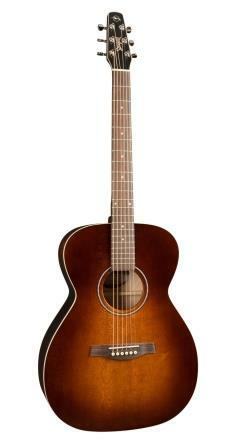 The first major difference is that it has a Solid Spruce top in place of the Solid Cedar top on the Original. The second difference is that It has a “Burnt Umber” finish on the top. This is purely cosmetic – but if you like the look of it and prefer the sound of the Spruce top (more Spruce options below), then this might be the model for you. The Original Burnt Umber QIT comes with the built-in QIT electronics with tuner. This model is practically identical to the Original with just one major difference. The neck width is narrower than the neck width on the Original – hence the name “Slim”. The S6 Cedar Original Slim has a 1.72” (43.7mm) nut width – as opposed to the Original, which has a 1.8” (45.7mm) nut width. Learn more about the S6 Cedar Original Slim at the link below. 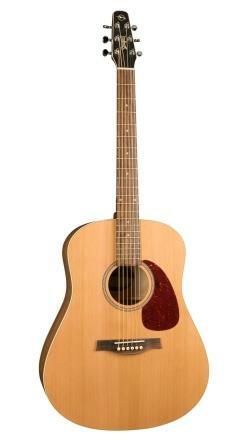 This is the Electric-Acoustic version of the S6 Cedar Original Slim – it has the QIT electronics with built-in tuner. Now we come to the first of the non-dreadnought models. The S6 Original Concert Hall is similar to the Original in that it has a Solid Cedar Top and Wild Cherry back and sides. In fact everything is the same except for one major difference – the size/shape of the guitar. It has Seagull’s Concert Hall shape. This is a smaller sized guitar and has a more defined waist. This model is suited to anyone looking for a mid-range heavy, warm sound. 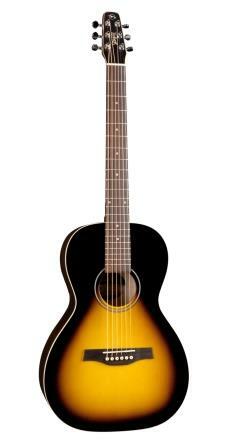 Seagull recommends this model for playing finger-style, for singer/songwriters and for recording. You can check out the dimensions for the different Seagull guitar shapes in the table below. You guessed it – this is the S6 Original Concert Hall except it’s installed with the QIT electronics system. Now we come to the model with the longest guitar name in history 🙂 – o.k. one of the models below may even have a slightly longer name! 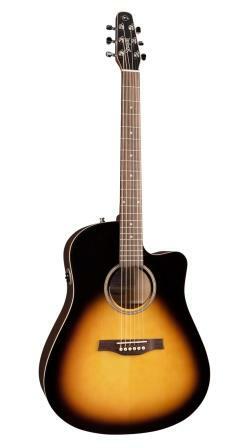 This is identical to the S6 Spruce Sunburst GT except that it is fitted with Fishman Sonitone electronics. It is the only S6 model with a cutaway. The S6 Grand Sunburst GT is the same as the S6 Spruce Sunburst GT in most ways except for one major difference – the size and the shape – o.k. that’s two differences! Seagull’s Grand size is their version of the Parlor size. So this is one of the smallest types of acoustic guitar you can get. It has a much smaller body in terms of width, length and depth and the shape has a more defined waist than the dreadnought models. It is smaller than the Concert Hall models too. 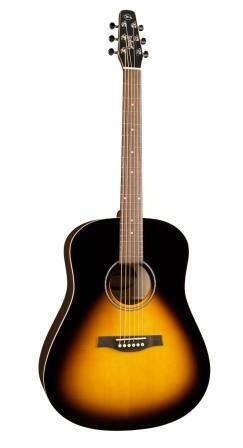 This is the same as the above guitar (The S6 Grand Sunburst GT) except that it is fitted with the Quantum IT (QIT) electronics with built-in tuner. For the second to last model on the list we have the one and only Mahogany model on the list. 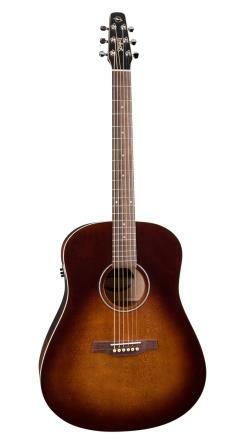 The S6 Mahogany Deluxe A/E – as it sounds – has a Solid Mahogany top. Accompanying that top is laminated Mahogany back and sides. Apart from that, the Mahogany Deluxe A/E is the same as the S6 Original. i.e. 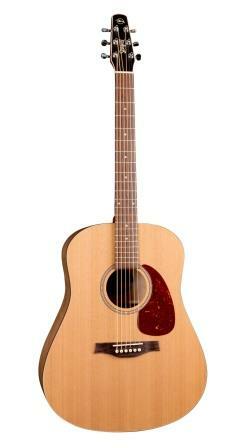 it is a Dreadnought, has a 25.5” scale length, a 1.8” nut width and semi-gloss finish. 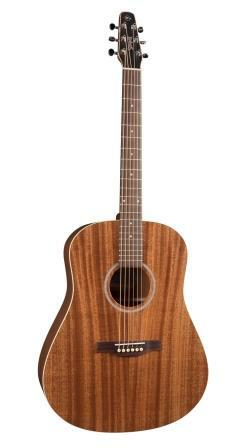 The Mahogany Deluxe A/E is also fitted with Fishman Sonitone electronics. The S6 Classic M-450T is also quite similar to the S6 Original. 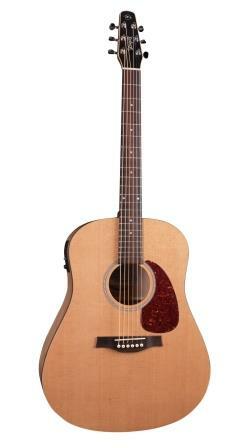 It has the Solid Cedar top and Wild Cherry back and sides like the Original, it is a dreadnought too. It is also the cheapest model on the list. 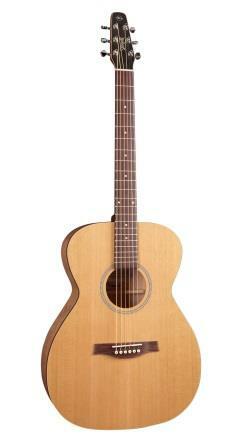 So there you have the Segaull S6 series of guitars. If you like the basic idea of the S6 guitars and they are about the budget you want to spend, then you should be able to find the one that suits you. Whether you prefer a Cedar, Spruce or Mahogany top, a dreadnought, parlor or concert hall shape and whether or not you want built in electronics or not, there should be a model that suits you. 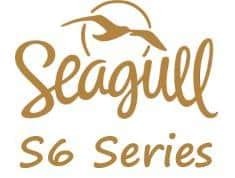 Thanks for reading and I hope this helped you to learn more about Seagull’s S6 acoustic guitars. If you want to take a more in-depth look at one of these guitars check out my review of the S6 Original Slim at the link below.